They have joined forces with guitarist and songwriter talent Ralf Jedestedt who makes his record debut with this album. Ralf is the actual brain behind GEFF. The story behind GEFF is quit simple. Ralf, an old time friend of both Per and Anders, played a couple of songs to Per, asking him if he would consider recording an album in his studio and also do the bass parts. Then they simply gathered a couple of highly regarded musicians, also old time friends, which are considered as being natural and important parts of the Swedish heavy metal and hard rock history. Göran helped Ralf to complete the songs and the arrangements were done by the group. Jens Johansson (keyboards), of Stratovarius fame, was hanging out at the studio at one occasion. He was asked to do a guest appearance on one of the album tracks. He came up with what might be one of his best solos ever. 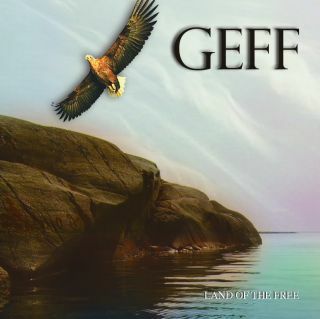 The members strongly believe in GEFF. Therefore the same line-up will record more albums in the future. Actually they are already in the pre-production procedure for a second album.